One of the highlights of our year is always the Falmouth Festival, and 2012 was no exception. We were slightly short-handed this year with Bruce, Carol and Mike away doing what Tars do best-sailing their boats! But with the five voices of Clive, Robin, Peter, Ian and Rob and Jane and Beth supporting us on guitar, fiddle and whistle we put on a good show which was well received. 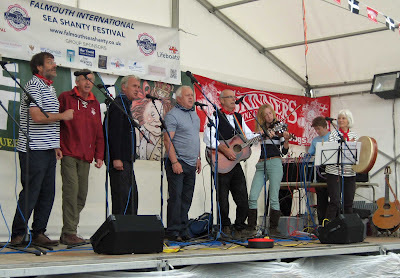 Another difference in 2012 was that we did all three of our sets on the one day (Saturday 16th June).That left us with plenty of free time over the weekend to use our free beer vouchers, to be tourists and to enjoy the other performers. 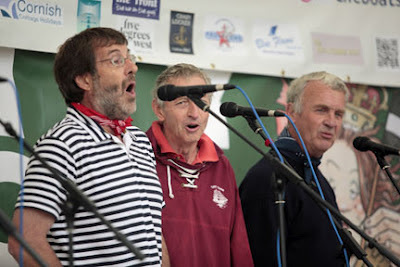 We opened on the Custom House Quay stage at lunchtime and immediately afterwards Peter and Clive found themselves being interviewed for a live broadcast by BBC Radio Cornwall. 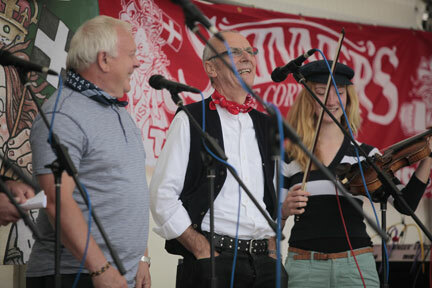 The interview was closed with a rendition of the “Farewell Shanty”-it seemed the right thing to do at the time! 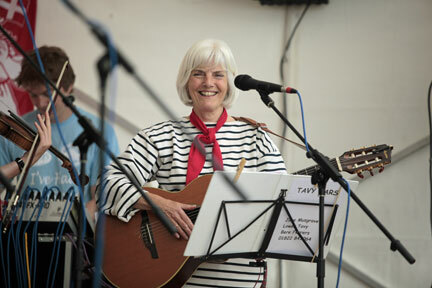 Later that afternoon we were back on stage at the Events Square (outside the National Maritime Museum). The weather had been threatening all day and our opening number coincided with the heavens opening-but that soon passed and the audience stayed, and even grew. In the audience was Hughie Jones who was with The Spinners for many years and who was performing at the Festival this year. He was gracious enough to smile his way through our renditions of two of the many songs he wrote: “Ellan Vannin” and “Whip Jamboree”. We were allowed in from the cold with our final set in the evening, in the warmth of the “Five Degrees West” pub. We had chosen some different material for this indoor set, including some numbers new to us and our audience. This produced another pleasant surprise- a couple of the guys from “Fishermen’s Friends” were listening (and joining in at times) and they made a point of saying how much they had enjoyed the set afterwards. 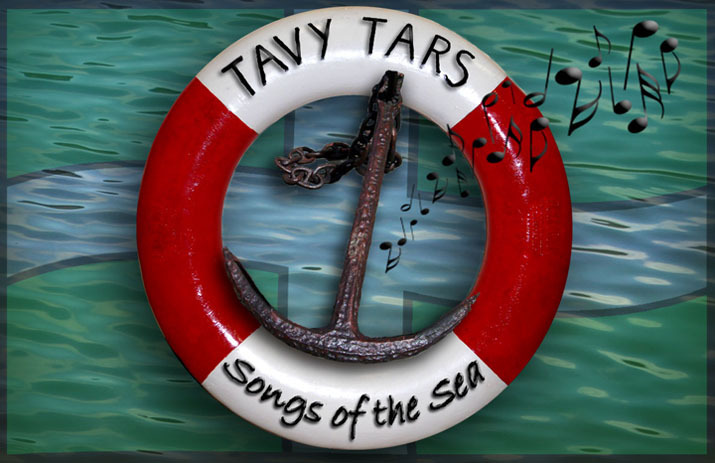 They particularly liked the fact that our material is so varied and goes beyond the core of traditional shanties. Perhaps they are jealous? Perhaps their contract requires them to sing “South Australia” every time they appear in public? Poor things! So a great time was had by all. Roll on 2013.